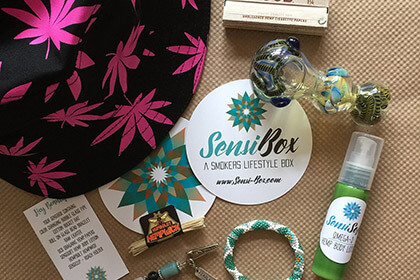 SensiBox offers unique weed subscription boxes specially designed for both ladies and gents with a passion for good herbs. You can decide between the Original boxes and the Toke boxes, both available in versions for him and for her. 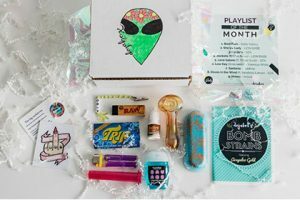 The For Her Original boxes feature at least 7 items per box, including hemp beauty products, munchies, apparel, goodies, and glass, as well as smoking essentials, such as lighters and rolling papers. The For Him Original boxes are slightly different and include smoking essentials, munchies, apparel, lighters, goodies, glass, and hemp made products, with 7+ items per box. With the Original boxes, you can choose between the monthly, 3-month, 6-month, and 12-month subscriptions and the prices range between $27 and $35 per month. 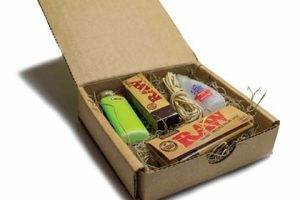 The For Her Toke boxes and For Him Toke boxes feature 5 items per box, including smoking essentials, munchies, apparel, lighters, ashtrays, and small glass pieces. Just as in the case of the Original boxes, you get to choose between the monthly, 3-month, 6-month, and yearly subscriptions and the price per box ranges from $12.50 to $20 per month. Shipping is free of charge within the US. For deliveries to Canada, the shipping fee is $10, while worldwide shipping comes with a $20 shipping fee per box. Our ratings are the result of an objective and independent evaluation of SensiBox, generating the final rating that reflects the overall quality of the product. Ratings may change as the service changes. SensiBox user rating based on 1 user reviews. I got my first box recently and I love it. The seller sent me an email when my box shipped and included a tracking number so i could get updates. It came right on time. Everything was packaged very securely. Each item is well made, fully functioning, and just plain awesome! There’s no SensiBox coupons or discounts right now.